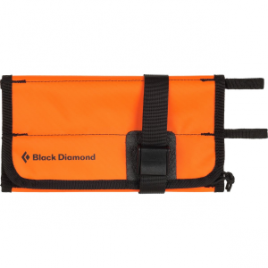 From campgrounds to the alpine, any site is suitable for Black Diamond’s Apollo Lantern. The DoublePower LED light provides a stunning 30-foot 80 lumen output in a non-glaring, frosted case. There’s a power meter that indicates how much battery is left, and the adjustable dimming switch allows versatile brightness. 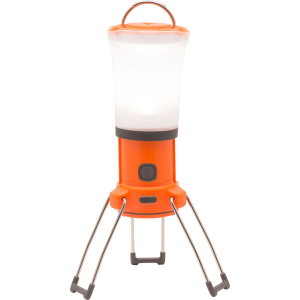 Fold-down legs let you place this lantern on most terrain, and there’s a hook strap to hand the lantern on tents.